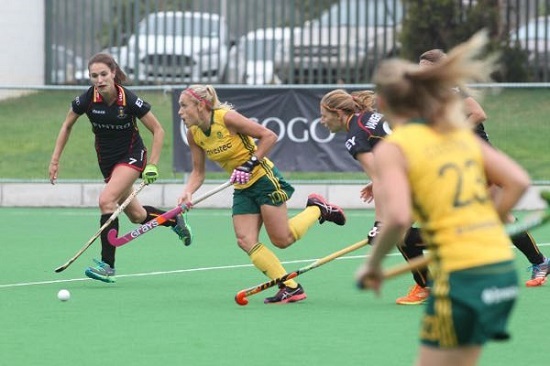 News broke last week that the SASCOC have officially decided to reject the invitation for the South African Hockey sides to the Rio Olympics in 2016. Fans have been devastated, players dejected and if there were any sponsors left they would be desolate too. I have only ever given a positive voice to hockey in South Africa and that means that I have often avoided pointing fingers at those at fault and pandered to keeping good relationships. However many of you read the blog for fair and honest opinion and I felt its time that we look at what is wrong in SA Hockey. Here are a few of the things that are broken in South African Hockey. It is frankly appalling that the largest hockey sports spectacle (Yes I believe it overshadows the FIH World Cup) will be lacking any African representation. The qualification criteria set by SASCOC were, quite frankly, unattainable for South African hockey. The reason I say this is that with the lack of money, the lack of structure and the lack of support meant that World League targets were unlikely to be met. The fact that we were prepared to not send the teams means that they should have withdrawn the African champions from the African Qualifier. It is insulting to me as an African and to many others too that SASCOC have singlehandedly decided that Africa is not good enough. They have robbed the kids of today of inspiration and motivation. The South African Olympic Committee have benefitted anyone other than South Africa. Tubby Reddy will still be in Rio, probably via business class, so don’t worry SA we will still have representation. 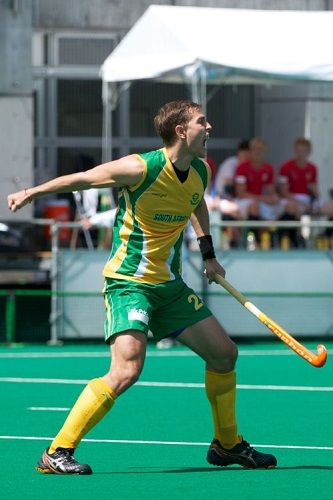 SASCOC may be getting my irritation here, but they are not alone in breaking SA Hockey. The national sports minister behaved in a manner akin to nursery school, in blocking national Hockey goalkeeper Sanani Mangisa who asked him a pretty simple question… The question related to why the National Sports Minister could not be bothered to show up at the African Qualifiers for the SA Hockey sides, played over a two-week period in October. His petulant behaviour is something he wouldn’t do to Bryan Habana, Itumeleng Khune or AB de Villiers further illustrating how little he cares about South African Hockey. SA Hockey may have canvassed support by drumming up the public into a fight against SASCOC, however the obvious statement must still be made. You signed the document. I am a man in business first and I know that when you sign a legal document it is binding. But surely more realistic questions have to be asked. Why have we not found a sponsor? Why do we play so few games? Why have we lost the abilities to use players like Justin Reid-Ross? Why did our team stay in different houses at World League Round 2 and not in a hotel together? How is Craig Fulton leading Ireland to the Olympic Games for the first time in a century and not part of the South African coaching structure? Why are we not trying to learn from Simon with PSI? There has been an interesting move to get Frontiers Sports and Kelvin Watt involved, but surely there are far more questions than answers. Earlier this year I reached out to various hockey brands to do a promotion or giveaway for an extremely popular sport. The only positive feedback I got was from Peter Wright at Malik and then through Shelley Russell (Grays) and Marcelle Keet (Malik). Every other brand pretty much ignored me. It appears more than ever that each brand is having a go at making some money out of a beleagured sport and not wanting to welcome in some outsiders. Heck if it doesn’t interest you, just say so. Hockey is a second-rate sport in South Africa and so many of our brands are run in that same way. There is almost a sense of entitlement in hockey circles. We believe we are better than other sports and deserving of a golden spoon treatment. It is true that hockey is by some distance our biggest second tier sport. But when the Volleyball funding was cut or the Womens Rugby team were dropped from Rio, many hockey enthusiasts didn’t bat an eyelid to the fact. The second tier sports should be working together to make a difference in South African sport, not just in South African Hockey. I have saved what I believe is the most poignant of all for last. South African Hockey is probably the least transformed sport in our beautiful country. In the recent African qualifiers we featured three players of colour in the mens 18 and only four in the ladies squad. We do not put effort and time into talent identification and nurturing, but rather into flogging what we have. The amount of African black players that have been selected in the 21 years of hockey post 1994 can almost be counted on one hand. If you tell me that we aren’t producing any I just need to point to what Lungile Tsolekile is doing with Langa Hockey Club and what Nathi Ngubane is doing with INK Hockey Club. But they need support in chasing this dream, support they are currently not receiving. This article is written from the heart. It is not meant to point a finger at someone else but rather point a finger back at ourselves. I have always had a deep passion for hockey and in particular South African hockey and have done much to highlight the battles and the challenges that they face. I want to see the omission of the team from the 2016 Olympic Games be something that inspires growth, that empowers change and that ultimately puts South Africa where we belong at the top end of the worlds game. In future lets leave decisions about our participation out of Tubby and co’s hands. Clearly collective punishment against the South African sports community. Why should anyone vaguely talented in hockey consider playing hockey while the ANC Government interferes. So we are back to the old slogan, “no normal hockey in an abnormal society.” Perhaps Lesotho, Namibia or Botswana would like to offer our players an opportunity. As for our Sports Minister, the less said the better. Any young sports person who has any talent will now be looking overseas for an opportunity to participate at the highest level. The RWC demonstrated that a South African Exiles team could have been chosen from the competing nations. Instead at home we have Parliament invaded three times during November yet we are more concerned about our African Champions not meeting some racist criteria. AS stated why did they compete? Will the runners up in the Africans Championships now be offered the places? Shame on the SA Government.